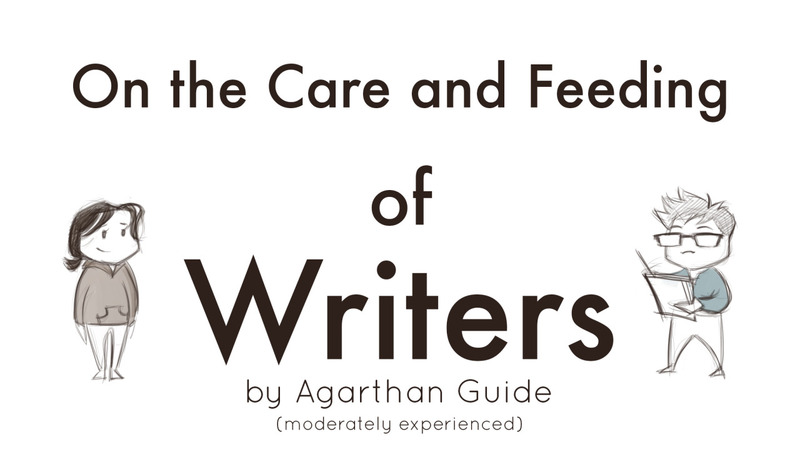 I came across this post on The Agarthan Guide’s Tumblr page on the Care and Feeding of Writers and I just had to share it for my fellow authors and writers over here (or more specifically, for those who live with us and participate in the care and feeding thereof 😉 ). For the life of me, I couldn’t figure out how to reblog/share it directly from Tumblr, so please click on over to their page to see the full series of images. You won’t be sorry. 🙂 While you’re there, be sure to check out her amazingly gorgeous artwork too! Haha. Thanks for sharing this!